Une place de parking convenable pour passer la nuit si vous êtes discret, bien situé à Strunjan. Rien ne clignote, mais ombragé. C'est en face d'un immeuble démoli et d'une église. Une courte promenade à un belvédère, plage de galets et aussi une courte promenade en descendant à la plage restaurant et bar avec une grande piscine, de bonnes toilettes publiques. Nous sommes restés 2 nuits et il y avait aussi deux autres locaux qui dorment dans leur voiture / van à cet endroit. 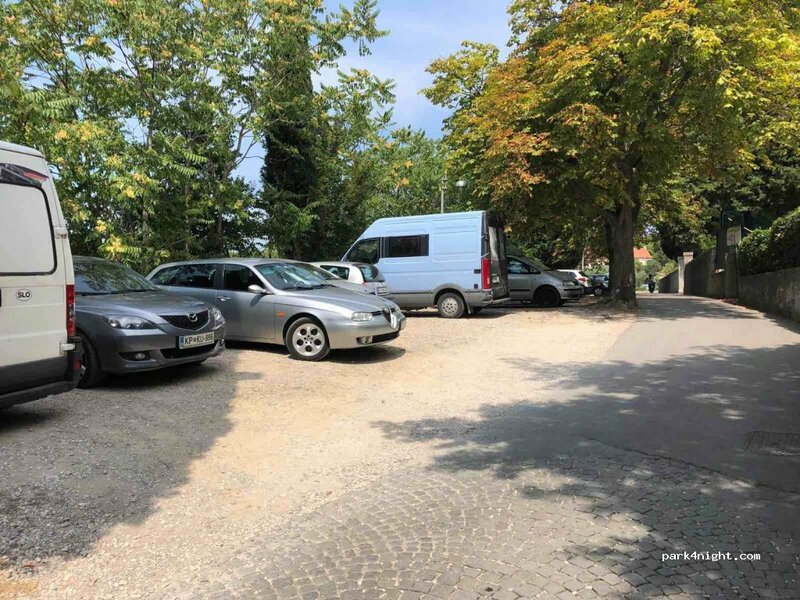 Nous l'avons utilisé pour explorer Piran et Portoroz pour une journée à pied que nous recommandons vivement. 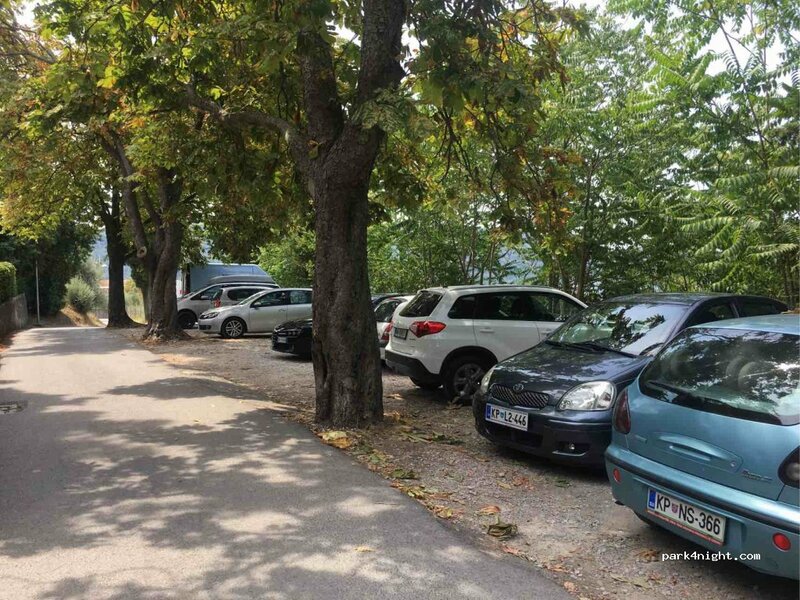 A suitable parking place for overnight if you are discreet, well located in Strunjan. Nothing flash, but shaded. It’s opposite a building getting demolished and a church. 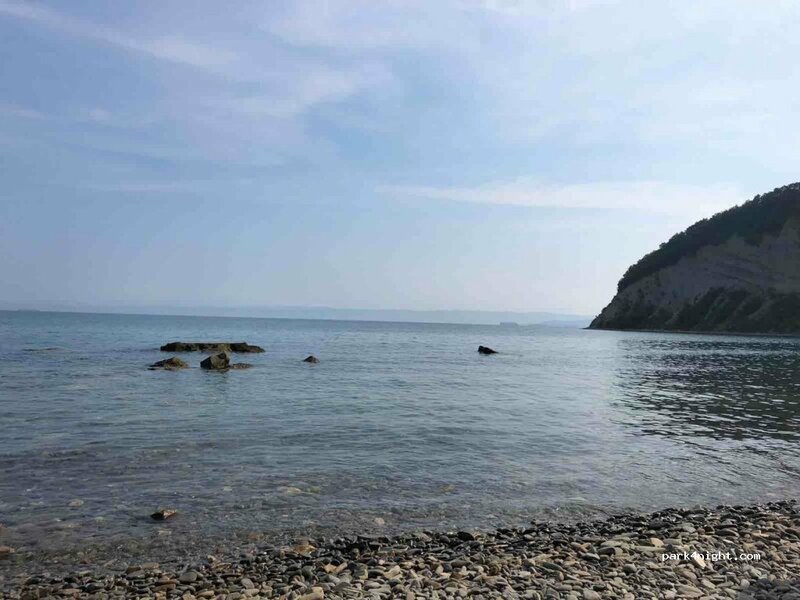 A short walk to a nice lookout, pebbly swimming beach and also a short walk downhill to beach restaurant and bar with great swimming place, good public toilet. We stayed 2 nights and there were also 2 other locals sleeping in their car/van in this spot. 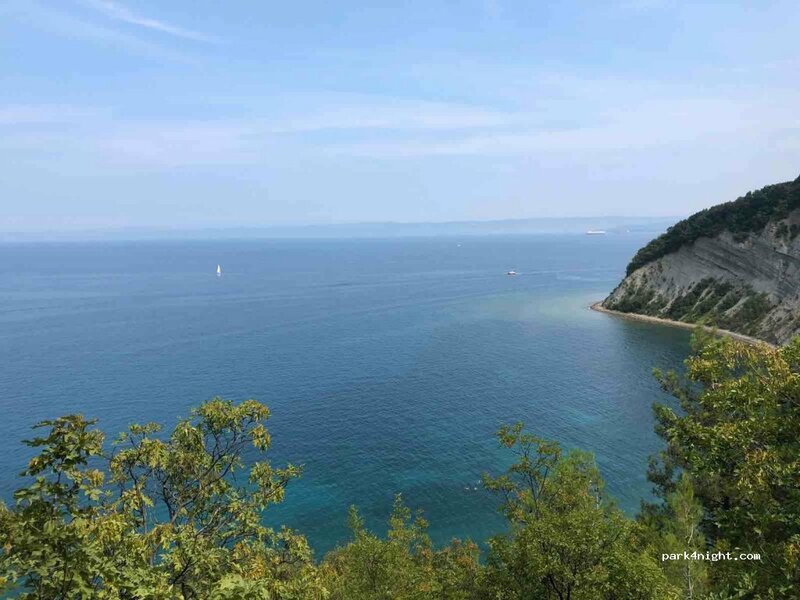 We used it to explore toward Piran and Portoroz for a day by foot which we highly recommend. Un lugar de estacionamiento adecuado para pasar la noche si eres discreto, bien ubicado en Strunjan. Nada está parpadeando, pero está sombreado. Está frente a un edificio demolido y una iglesia. A pocos pasos de un mirador, playa de guijarros y también a un corto paseo hasta el restaurante de la playa y el bar con una gran piscina, buenos baños públicos. Nos alojamos 2 noches y también había otros dos lugareños durmiendo en su coche / furgoneta en este lugar. Lo usamos para explorar Piran y Portoroz para una caminata de un día que recomendamos encarecidamente. 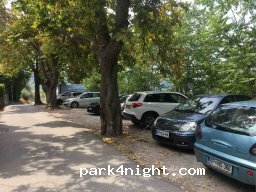 The best place to park and visit Piran or Portorose. And I think the only free parking around. Right now they are renovating building next to parking and it will be unavaliable to park here for at least one month. Nous nous sommes garés ici pour la journée, idéal pour visiter Piran. 1 heure de marche par un petit sentier qui longe l'eau, magnifique. Stayed here almost a week with no problems. Very tight parking.. up a steep hill. Wouldnt be suitable for big motorhomes, we have a long wheel base sprinter and it was a struggle to park as its narrow and there is big trees in the carpark. Church opposite has a really nice toilet block only open in the day. Lovely coastal walk as well from the cross at the top of the cliff. Achtung: mit einem größeren Bus oder Wohnwagen kann es Probleme geben beim Ein- und Ausparken! Sehr eng mit einer Mauer und Bäumen - auch in der Höhe. Tagsüber stark frequentiert von den Einheimischen, welche die Camper nicht gern hier sehen! Sie grüßen leider meist nicht zurück, da die Camper ihre Stellplätze besetzen. Nice place, but capacity is already reached, feels like it will be shutdown soon. Kann man abends sehr gut umsonst parken. Ist aber nur für kleiner Camper (Busse) weil Wohnmobile dürfen nicht in das Gebiet fahren. Man kann von dort aus sehr gut an den Steilklippen wandern und kommt schnell ans Meer. In der Nähe neben einer Kirche sind Toiletten.